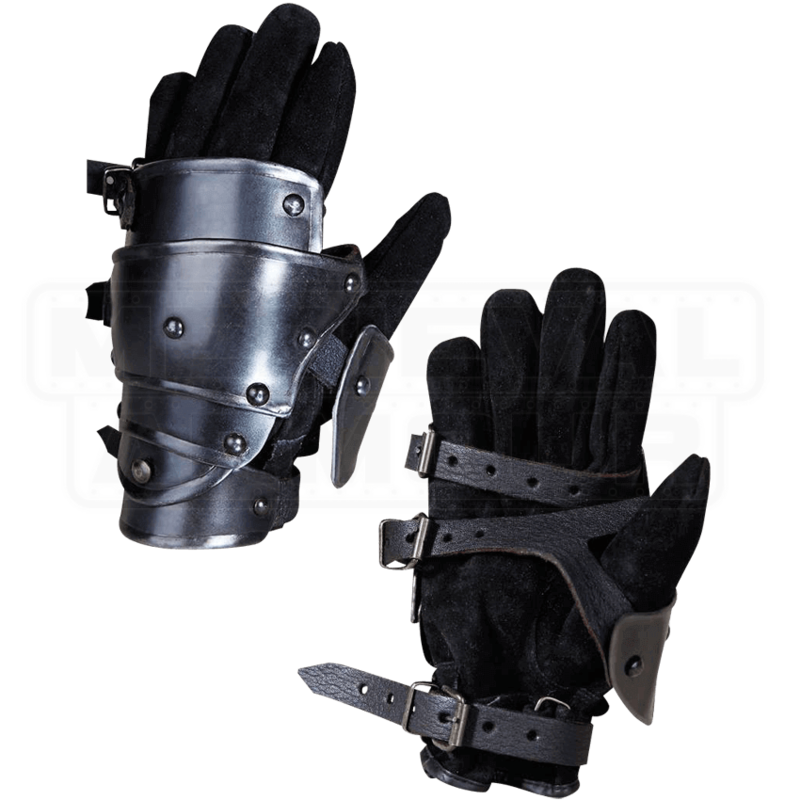 The Blackened Markward Short Gauntlets are the perfect finishing touch to any dark LARP outfit or medieval inspired armour ensemble. 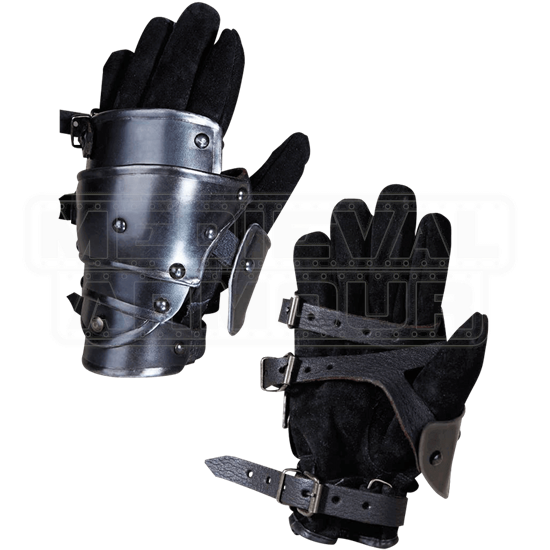 The gauntlets are made of 18 gauge blackened steel and feature a six piece construction, lending these classic gauntlets full wrist mobility. Three sturdy leather straps buckled at the side of the hand secure the gauntlets to the wearer, which can easily be adjusted for a perfect fit. These gauntlets, like most plate armour, are most comfortable when worn with a protective underlayer, such as leather gloves.